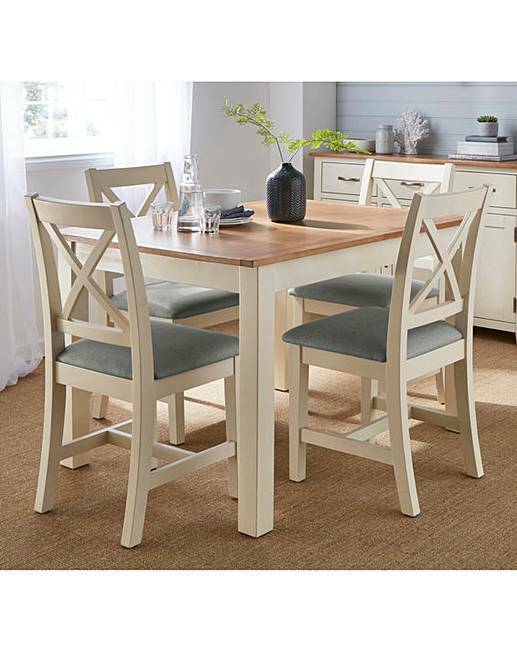 Part of the Harrogate two-tone dining range, a beautifully finished country-inspired wooden dining range. The Harrogate two-tone dining chairs are painted in a soft cream colour with a cushioned seat pad upholstered in a light grey linen effect fabric. 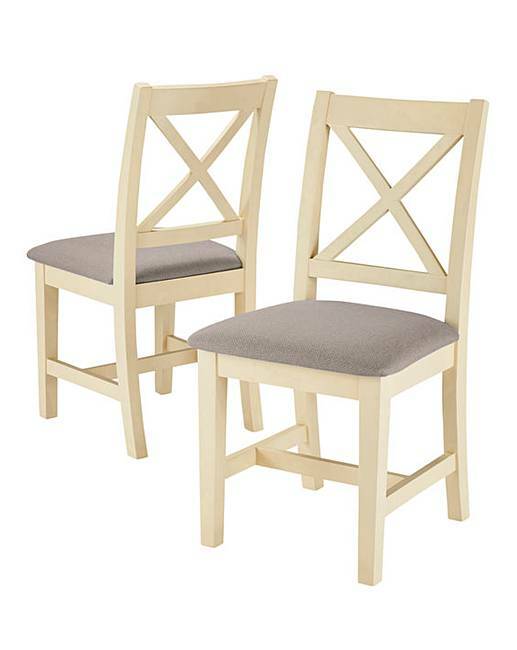 The Harrogate two-tone pair of dining chairs are a perfect accompaniment to any dining room. Fully assembled. Chair maximum user weight of 17st/110kg.